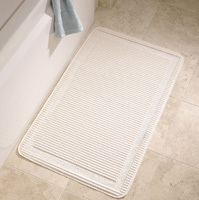 Grip-it Cushion Mats help make bathrooms safer with a non-slip surface that helps prevent slips & falls. Cushioned for extra comfort. Mildew-resistant and antimicrobial to help prevent mildew. 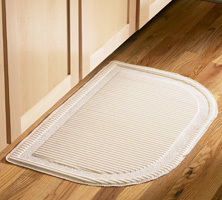 Available in two convenient shapes to fit any floor space.